If you are searching for a full time live-aboard with moorage -please look no further! Skye Song needs a new home and all offers will be considered! Locally built! Designed for our West Coast waters! This classic 1980 Canoe Cove Sports Sedan is ready to make a home for her next owner. “ Skye Song ” has been used as a live aboard on the Fraser River and comes with transferable moorage. On board the vast amount of easily accessible space, and the fact the owners have spared no expense in making her a comfortable live aboard means she has most of the modern comforts found in a home. 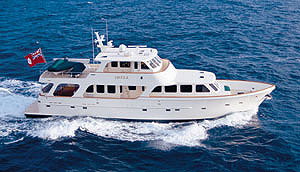 Including a large and well stocked galley with multiple fridges and a full sized freezer. A 5kw Onan Gen set powers the supplies when needed. Forward are two staterooms with a large head and separate shower stall. The massive 195g water capacity and 12g hot water tank allow for comfortable use and a steady supply. 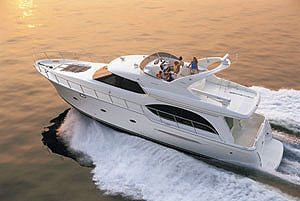 Powered by the reliable and long- lasting twin diesel Perkins 240hp turbo engines. Known to run forever and be light on fuel. 17 knots max with a comfortable cruise speed of 10 knots. Updated Garmin Radar /Plotter with 12’ display screen. Garmin Auto-pilot. Garmin Fish finder. 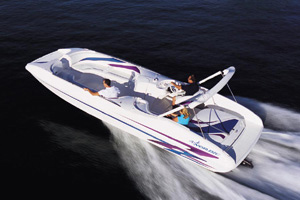 On the stern is a top of the line Sea-Wise Davit system with a 10’ Zodiac RHIB and Mercury 9.9hp outboard. You are kept warm all year with a stylish Dickinson Antarctic diesel heater and a Webasto diesel furnace. While a full beam basement below the saloon allows for ample storage and easy access to fuel and water tanks. 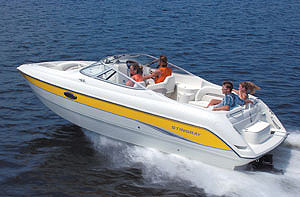 Dual drive stations permit for year- round boating. Recent survey on file. All systems are operational. 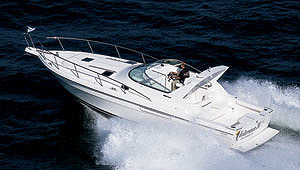 Canoe Cove boats are well known to be exceptional cruisers and have been enjoyed around these parts since 1958! This Sports Sedan is a model that doesn’t hit the market too often. Including the live- aboard moorage in a convenient and central location makes this a deal that shouldn’t be missed! Please email or call to view.